Low TWR (0.21 in LKO when fully fueled) 2-part rocket assembled in space. KER says it has 4,800 m/s dV. My maneuver: 2,444 m/s, off the top of my head the game tells me it's supposed to be somewhere between 16 and 19 minutes of burn. I did that in 3 burns of about 2 minutes, one minute before the node and one minute after. So, I'm not used to low TWR rockets, I usually stick with 0.5 or greater. Is it normal that there is wasted dV due to not performing burns as precisely as one would with greater TWR? Is it KER that's lying to me? Or am I approaching long interplanetary burns wrong? How do you deal with long burns? I have been using physics acceleration, has that been known to fudge things? Because I just don't get why I would end up using about 30% more fuel according to KER compared to what maneuver nodes tell me. That's a rather disconcertingly large margin of error. Maneuver nodes in KSP assume an instantaneous burn for the DeltaV. Any time you are burning other than t=0 you are wasting DeltaV. the lower your TWR the longer you spend thrusting in the wrong direction and so, the worse it gets. Try to raise your departure orbit to 1000km, with an orbital period of 1h52m you will be able to complete the burn just fine. Anyway, there is a topic about Oberth effect that introduced me to the concept of Gate Orbits. While what @Rhomphaia says is true, the margin of error introduced by long burns instead of ideal instantaneous trajectory changes is not that large as long as you keep your burns from being longer than a sane fraction of your orbital period (like @Hesp said). For large errors, you have to really deviate a lot, like during your final escape burn. The ~26.8% loss in dV during that 9.5 minute burn seems reasonable. Since your orbit was elliptical at this point, you moved even faster at periapsis, and thus traversed an even larger section of the curve around the planet than if you were circularized, which is what makes your burn more wasteful. I suspected something like that, but I still feel that the total loss of about 575 m/s is huuuge. I don't know what I could be doing wrong, essentially, I point my ship at the maneuver node very precisely and begin burning and time my burns with both the node timer and the MET at the top for subsequent burns. I also used my periapsis as a reference for when to start the smaller burns, so 1 minute before periapsis until a minute after. For the following burn, I made a new maneuver node as after the 3 previous burns, it was horribly skewed. Then I followed the same process, pointed the ship at the maneuver node and split a bit less than 5 minutes on each side of my periapsis. I was under the impression that, even with low TWR, I could achieve a trajectory close enough so I would only need minor adjustments to get the desired encounter as long as I could get the ballistic trajectories to be parallel (as opposed to perfectly matching the maneuver node, since that's obviously going to be impossible to do). Although I have no idea how I would go about that without a precise reference on my NavBall. Long story short, while I did expect some losses due to precision, I assumed there was a way to aim myself close enough to the target maneuver that the last burn would not cause such losses, especially since I was going at escape velocity by that point. Maybe I oversimplified rocket science again. Beyond my original question, that leaves me wondering what the point of nukes is since if I'm going to waste 26,8% of my dV to compensate for low TWR. Compared to, say Terriers, they're 6 times the mass and a little bit over twice the Isp and exactly the same amount of thrust. So I thought bringing a lot of nukes would essentially nullify any advantage of actually using nukes because of their mass beyond the fact that it's a very kerbal thing to do. But then wasting this much fuel kinda makes me want to try using Terriers as interplanetary stages. Terriers are perfectly fine choices for interplanetary travel. As are Poodles, Rhinos, and in some cases in Skippers. 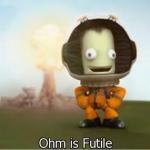 The KSP solar system is so small that you can easily get by with just the Isp of chemical engines. That said, the intended case is that you don't lose 26.8% of your dV because you keep periapsis kicking until your apopasis approaches the orbit of the Mun. Then you only have less than 200 m/s left to escape, and can complete your final burn without going significantly off prograde. Because ideally, repeated short burns should not lose you noticable amounts of dV. Lots of people do this all the time. I can't really say why it didn't work for you. As @Streetwind and @Rhomphaia said, the manouver node is calculated for an istantaneous burn, so that all your dV burned is oriented prograde. During 10 mins in LKO your ship sweeps about 120 degrees of the orbit. This means that you start the burn pointing 60 degrees away from prograde. Trigonometry says that cos(60°) = 0.5, so only half of your dV goes prograde. During the burn your angle to prograde decreases till you reach the node (cos(0°) = 1), then increases again. The 26.8% loss is perfectly understandable. As i said before, try the burn starting from 1000km orbit. The total swept angle for the same 10 minutes manouver will be 30 degrees, and cos(15°) = 0.966. I would expect a loss around 2-5% accounting also for human inaccuracy. There's another possibility here, your final ejection burn was probably 12 hours or so off your initial maneuver node's plot. Assuming a trip to Jool, the specific burn required likely changed a bit before the final one. Next time, it might help to set up your burn well in advance then just start early so you can reach the right time and place. I know right!? I did it with large things before, although I don't recall the exact TWR, I never had issues. I suspect it's because half of my burn is actually anti-normal. I'm actually aiming at Dres, albeit during a deliberately suboptimal launch window. Thing is, I'm trying to do this with 140 tons maximum launch pad capacity. This setup already required three launches: a lander/return stage, an interplanetary stage and a refueling run. Thing is, I'm afraid using Terriers, for example, would still result in a heavier payload since they do have only less than half the Isp of nukes. Here is a screenshot of the assembly. I tried to cram as much info into a single picture. While doing that, I noticed that VAB KER and In-Flight KER seem to be in disagreement, which is troubling and may explain most of my issues. Anyways, beyond scrapping the whole design and going with other engines/more individual launches and assembly in orbit, I'm considering the possibility of escaping Kerbin first and planning a transfer in orbit around the Sun. I do realize it's likely to waste some dV also, but then a long 10+ minute burn should be insignificant compared to an orbit that takes more than a year. I have a feeling the end result is going to be similar, but I'm curious as to what some of you math wizards think of that? Try and get your ejection right the first time. Say you finished your last burn, place a maneuver node 5 minutes in the future and play with the directions until you get something close to an encounter, hopefully you got something like Precise Node, Precise Maneuver... so you can add even small amounts and see the difference in the closest distance that you get. But regardless of that, your budget is quite tight considering you wanna land and return to Kerbin (I suppose) without refueling. The nuke stage covers the transfer, then say you can do landing and back with about 400m/s2 each. Then the best return I can find is 1318. So in total if done perfectly below 2200. Considering your losses already, very tight. Anyway, let's look at this theoretically. You wish to increase your orbit around the Sun so you reach Dres. The best time to do this is at your Sun peri, which is where you're at, around Kerbin, right now. So if you move away from your periapsis, it will cost you more. There are also some inclination changes to be discussed here and those are best done in a higher orbit. So the objective of your burn around Kerbin is to reach a high apoapsis while changing your inclination enough (and just enough) to intersect with Dres (and, when reaching Dres, matching its inclination right there). That's why it would be inefficient to do a burn mid-course combined with an inclination change whose coordinates are reliant on your ejection deviation. Anyway, not good. With your tight budget already, not recommended. But hey, if you can refuel before leaving Dres, have at it! Now that you hopefully know a bit more theory, experiment, live large. 2nd point: making your transfer burn so far away from Kerbin will make you lose way more dV (lack of Oberth effect). People more proficient than me with orbital mechanics will explain better for sure. All that matters is finding a reasonable orbit for your ejection burn. 100km with your TWR is giving you huge steering losses. Just circularize it higher (500 to 1000km) and then send a small tanker to refuel! I'm actually aiming at Dres, albeit during a deliberately suboptimal launch window. I have a save file while my vehicle is still docked to the fuel depot, it might be painful, but it may have enough fuel in it to allow my 3x sparks to raise the whole thing's orbit by a decent margin, hopefully. The fact that VAB KER and In-Flight KER disagrees with itself makes me want to scrap the whole thing and try again though, however painful it feels to throw away hours of engineering away. Lessons were learned though. Anyone else has ideas on how to salvage this or if KER has been known to lie so blatantly about dV values? EDIT: core of the issue is that this dV loss does not compromise the mission as much as the lower fuel values force me to perform Kerbin re-entry at 5 km/s with a long thin capsule and a heat shield that is flush with the fuselage. Even spinning to spread the plasma toasting equally cannot save it from a spectacular sky BBQ. The only difference I see between the VAB and the flying ship is in the staging - check it! Quoted for emphasis! I suspect the reason why KER is reporting different value in the VAB than it does in orbit is that (from KER's point of view due to the staging differences) it's reporting on two different ships. This is rather difficult to pull off given the speeds involved and the fact that I'm basically threading needles at different angles every time I make a new maneuver node and then you need to factor in burn times. 10-15 minutes is more realistic, but again, given the speeds, this means I'm going to be quite far from periapsis at this point. Tested. It works. It's just that it burns up on re-entry. Minor inconvenience. As for the second part of your reply, I know the theory, at least in terms of concepts if I'm entirely honest. What I'm wondering is between a long but inefficient burn at periapsis around Kerbin due to speed and trajectory issues stemming from the low TWR and not quite burning at my orbital periapsis because I'd leave Kerbin's SOI first but not having to deal with massive differences in my trajectory due to Kerbin's gravity would be better? I am aware the short answer is likely no, but I'm not sure what else I can try to salvage the final re-entry of the mission. I wish, but the nuclear stage is capped with a decoupler and a docking port to refuel prior to departure. If I stage the nuke, I lose the ability to refuel the whole thing. The craziest part about this whole thing is that in my test run, I acually had a worse launch window and I did go for an escape first, then a prograde burn, then an inclination burn and such, and I still managed it. This was actually my salvage plan: get this new, better launch window (the one mentioned here), leaving the interplanetary stage in orbit with the fuel I saved, dock back with it and mostly use the fuel left in there to get an encounter with Kerbin. Then I wanted to get an encounter with the Mun to perform a powered gravity assist and hopefully knock a solid 1km/s off my re-entry speed, minimum... and the result is I'm actually spending more fuel while trying a more efficient burn at a more efficient launch window! I'm just baffled. So this thread is essentially trying to salvage my plan to salvage my original plan. At that point it doesn't matter how far you are from Kerbin's PE, you are on your ejection trajectory and we're only talking about corrections. 100m/s2 at the very worst in any direction. OK, 10,15mins, an hour, you're still in the SOI, better now than in solar orbit. Who knows what funky gravity assists and even aerobrakes you could get from Duna and Eve. Anything is possible with sufficient planning and time spent in the emptiness of space. But you gotta make sure that thing can aerobrake from a standard arrival from Duna/Eve 3200-3300m/s style; should be fine imo. While doing that, I noticed that VAB KER and In-Flight KER seem to be in disagreement, which is troubling and may explain most of my issues. When you deliberately give us the wrong information? AFAIK, with the in-flight staging that you have, the nuclear is set up to burn all the liquid fuel in the ship (that's why KER says 4845m/s > 4220 in VAB). When you stage it, the sparks are stuck with only oxidizer and the remaining dV is zero. Try to disable the docking port crossfeed. Wow. I know what I did, which is set up a separate stage for the nuke, which is why I said I fudged the staging, because there normally isn't a stage there, I just hit undock instead. What I didn't do is give deliberately false information. I understand your explanation for the discrepancy, however, you can also see in the screenshot that I locked the fuel usage for the lander's tanks. I only show one, but I assure you they are all locked. This works in the VAB, I just tried pushing the "disable crossfeed" button anyways and nothing changed. I did consider the possibility that KER is not exactly sure whether or not it can use the liquid fuel in the top stage. It's still strange to me and if that was the whole problem, KER would display the extra m/s of dV even after the burn as I did not undock the interplanetary stage even after all those burns. I also didn't disable crossfeed by default since I needed to refuel the whole thing, not just a single stage, and the fuel had to flow through all stages given the docking port setup. I tried isolating the top stage and dV readings were alright, although it makes sense that they would if we don't consider the nuke stage at all since the limiting resource for them would be the oxidizer and not the liquid fuel. I suppose they would show up accurately in the VAB since I don't think I enabled crossfeed on the decoupler I put there to clearly isolate stages. Hmm. Still don't think that's the issue though, KER wouldn't "change its mind" about having the extra fuel and pressing the disable crossfeed still didn't change the reading. That was my thought process during the few hours I spent trying to get this thing on course yesterday. Yet, in my tests I managed to get into a near circular orbit around Dres with this very design with a much, much worse attempt efficiency-wise. This is why I came here instead of just testing more, because I just don't know how to interpret these results. I'm not sure how that can even happen. How can a launch window costing 300 m/s more dV, on top of maneuvers done in orbit around the sun add up to the same result as launching from a better launch window and doing all the work at periapsis?! I guess I might try splitting the maneuvers like I did previously, I just can't imagine it working, but I can't think of any other way to be sure, it's the one variable that's different from my test apart from the launch window, which should be better either way. Previously? I hope you're not assuming that a maneuver node A which has 1km/s prograde+1km/s normal would equal to two maneuver nodes at the same point, each 500m/s prograde+500m/s normal. That's exactly what I am not assuming, yet, I will probably test it because it's one of very few variables that are different between my two attempts. Although I'm not sure you typed your example right. You mean you hope I'm not assuming one maneuver with 500 m/s prograde and 500 m/s normal is not equal to two separate maneuvers each of 500 m/s prograde and 500 m/s normal, respectively, especially in different situations (ie orbit around the sun vs orbit around kerbin vs periapsis vs ascending nodes vs did I forget something). No. I mean same situation. You're separating your burns, right? Suppose the first burn is from a circular orbit, you burned, I don't care your TWR and let's assume it's instant, then you orbit back to periapsis and want to finish the second half of your plan - I meant that I'm hoping you're not plotting a 500 prograde+500 normal maneuver node for this second half of the burn. No, I'm using the same maneuver essentially. I'm not doing the "prograde part" of the burn on the first pass and then the "normal part" of the burn on the second. My ship's attitude is in-between prograde and normal for each burn. To be honest, I'm not sure what you're asking. I understand my situation is baffling (at least to me) and so I understand the need to find an anomaly, but the notion of splitting my burns in terms of relative markers would be absolutely nuts (to me). No, my ship's attitude is always the maneuver marker that is created by a maneuver node that takes me to an encounter with Dres. I did delete the original maneuver node after burning 3 times 2 minutes split equally across my periapsis and create a new one to account for my new, significantly different orbit from which I was burning, but that new maneuver led to another encounter that is practically identital to my previous encounter and I still pointed my ship towards the maneuver node for the whole burn.